Experience quick and easy hair styling with Parlux Advance Hair Dryer in 'Neon Orange', an award-winning, super lightweight hair dryer with superior drying power and longer lifespan. Designed to offer maximum, salon-quality performance with reduced energy consumption, the eco-conscious, technologically advanced hair dryer utilises highly recyclable materials and is fitted with a 2200 watt K-ADVANCE motor for the quickest ever drying time, and features a built-in silencer for quiet styling. 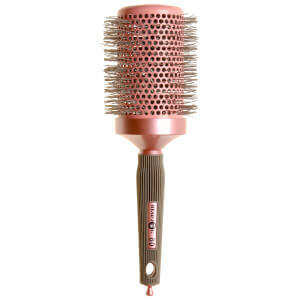 Its ionic ceramic technology promotes healthy, static-free hair that looks luscious and conditioned. The multiple speed and temperature settings feature soft touch switches for user comfort, and its anti-heating case makes it comfortable to hold. Complete with a cold shot button for locking in style and shine. Carefully designed handle for perfect balance. Parlux Advance Hair Dryer - Neon Orange. Iconic ceramic technology to prevent static.